This summer we will finish the brick wall and make a round paiving beside the pond. 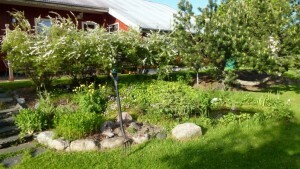 Then we will continue with the walkway around the pond. 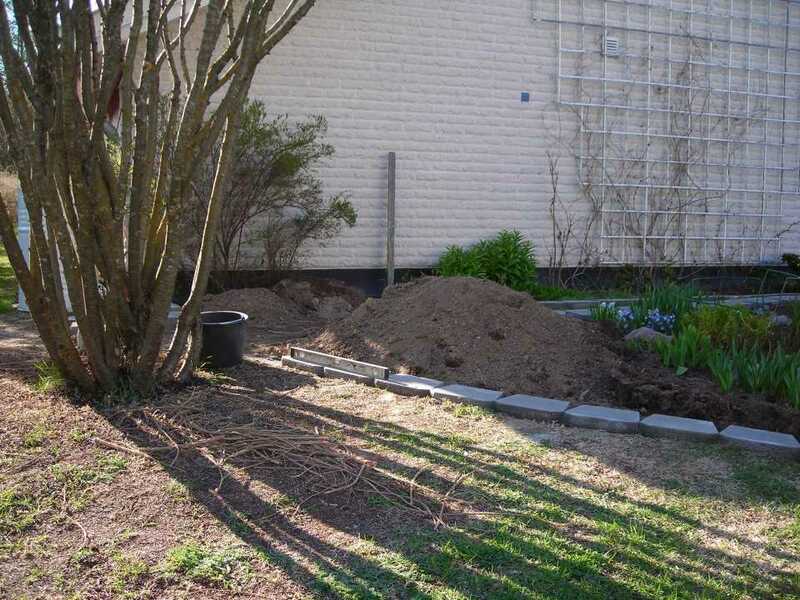 Here we have prepaired for the paving. Finally it’s time to fix this side of the stone steps. 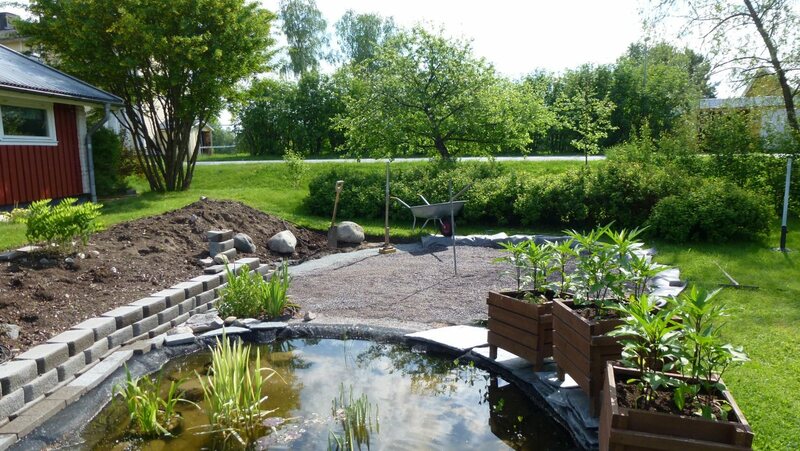 Here is a small pond that I want to make bigger. During the winter, I planned how I wanted to do it. There will also be a low stone wall, like I have in other places in the garden. 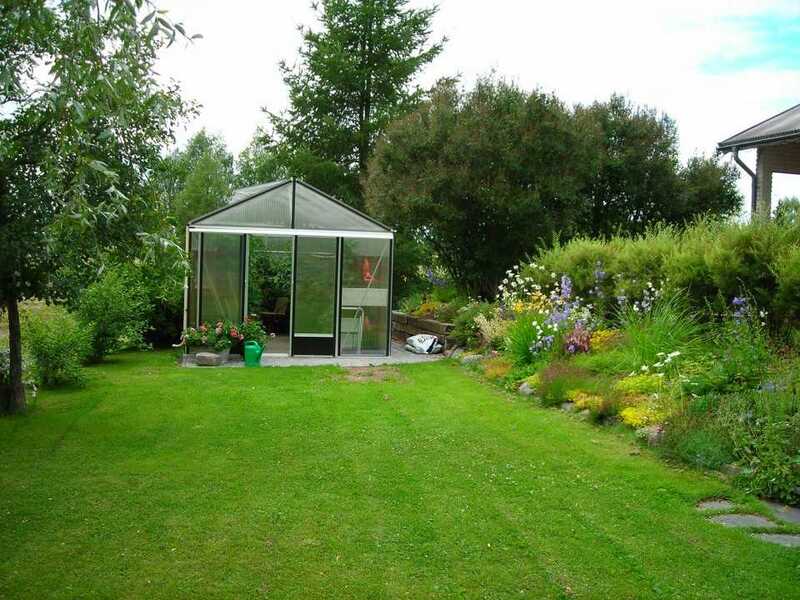 Now the turn has come to do something about the front side of the greenhouse and the large flower bed in the slope. Here’s how it looked like in summer 2008. All winter, I sat and pondered and made up drawings of how I wanted it to look like. I will make a paved semicircle outside the greenhouse and a wall around the flowerbed which will have a slightly different look. 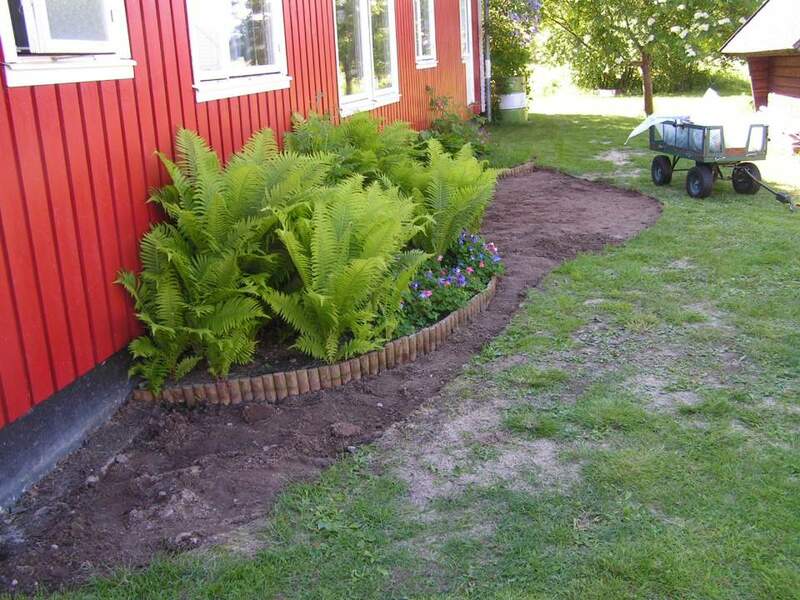 The edge around the flower bed was in such poor condition that it had to be replaced. I first made a sketch on how I wanted it to look like and made some changes from the original. 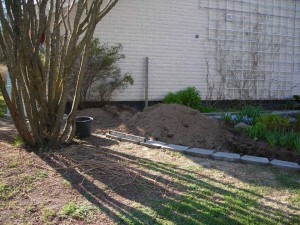 Here we have dug and compacted the sand and then put the first layer of bricks. A spirit level is handy to use for this.